When you use any account for access to The Columbia College Web Site(s)/Service(s), you are entirely responsible for maintaining the confidentiality of your password and account. Furthermore, you are entirely responsible for any and all activities that occur under your account. You agree to notify Columbia College immediately of any unauthorized use of your account or any other breach of security. Neither Columbia University nor Columbia College will be liable for any loss that you may incur as a result of someone else using your password or account, either with or without your knowledge. However, you could be held liable for losses incurred by Columbia University, Columbia College or another party due to someone else using your account or password. You may not use anyone else’s account at any time, without the permission of the account holder. You must exit from your account at the end of each session. The Columbia College Web Site is for your personal and non-commercial use. You may not modify, copy, distribute, transmit, display, perform, reproduce, publish, license, create derivative works from, transfer, or sell any information, software, products or services obtained from the Columbia College Web Site. Without the advance express written permission of Columbia College, you may not ‘meta-search’ the Columbia College Web Site(s)/Service(s), send, or cause to be sent, any automated queries of any sort to the Columbia College Web Site(s)/Service(s)s, or use the Columbia College Web Site(s)/Service(s)s in any commercial manner. You agree not to sell, resell or offer for any commercial purposes, any portion of the site(s)/service(s), use of the site(s)/service(s) or access to the site(s)/service(s). As a condition of your use of the Columbia College Web Site(s)/Service(s), you will not use the Columbia College Web Site(s)/Service(s) for any purpose that is unlawful or prohibited by these terms, conditions, and notices. You may not use the Columbia College Web Site(s)/Service(s) in any manner that could damage, disable, overburden, or impair any Columbia College Web Site(s)/Service(s) (or the network(s) connected to any Columbia College Web Site(s)/Service(s)) or interfere with any other party’s use and enjoyment of any Columbia College Web Site(s)/Service(s). You may not attempt to gain unauthorized access to any Columbia College Web Site(s)/Service(s), other accounts, computer systems or networks connected to any Columbia College Web Site(s)/Service(s), through hacking, password mining or any other means. You may not obtain or attempt to obtain any materials or information through any means not intentionally made available through the Columbia College Web Site(s)/Service(s). The Columbia College Web Site(s)/Service(s)(s) may contain e-mail services, bulletin board services, chat areas, news groups, forums, communities, personal Web pages, calendars, photo displays and/or other message or communication facilities designed to enable you to communicate with others (collectively, “Communication Services”). Columbia College and Columbia University do not claim ownership of the materials you provide to Columbia College (including feedback and suggestions) or post, upload, input or submit to any Columbia College Web Site(s)/Service(s) or its associated services for review by the general public, or by the members of any public or private community, (each a “Submission” and collectively “Submissions”). However, by posting, uploading, inputting, providing or submitting (“Posting”) your Submission you are granting Columbia College permission to use your Submission in connection with the operation of the Columbia College Web Site(s)/Service(s) and Columbia College Alumni Publications, including, but not limited to, Columbia College Today. This permission includes, without limitation, the license rights to: copy, distribute, transmit, publicly display, publicly perform, reproduce, edit, translate and reformat your Submission; to publish your name in connection with your Submission. 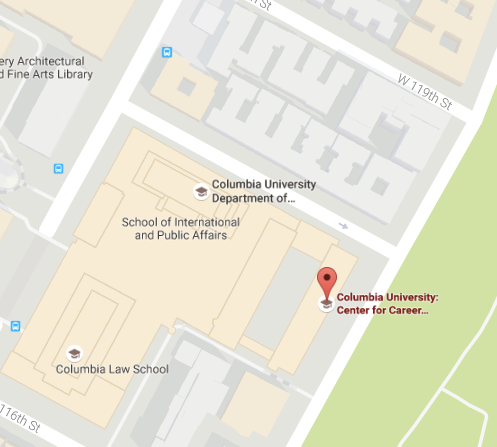 Columbia College may establish general practices and limits concerning use of the site(s)/service(s). While Columbia College will use reasonable efforts to back up site data and make such data available in the event of loss or deletion, neither Columbia University nor Columbia College has any responsibility or liability for the deletion or failure to store any messages and other communications or other content maintained or transmitted by any site(s)/service(s). Columbia College reserves the right to mark as “inactive” and archive accounts and/or projects that are inactive for an extended period of time. Columbia College reserves the right to change these general practices any time in its sole discretion. NEITHER COLUMBIA UNIVERSITY NOR COLUMBIA COLLEGE MAKES ANY REPRESENTATIONS ABOUT THE SUITABILITY, RELIABILITY, AVAILABILITY, TIMELINESS, LACK OF VIRUSES OR OTHER HARMFUL COMPONENTS AND ACCURACY OF THE INFORMATION, SOFTWARE, PRODUCTS, SERVICES AND RELATED GRAPHICS CONTAINED WITHIN THE COLUMBIA COLLEGE WEB SITES/SERVICES FOR ANY PURPOSE. ALL SUCH INFORMATION, SOFTWARE, PRODUCTS, SERVICES AND RELATED GRAPHICS ARE PROVIDED “AS IS” AND “AS AVAILABLE” WITHOUT WARRANTY OF ANY KIND. COLUMBIA COLLEGE AND COLUMBIA UNIVERSITY HEREBY DISCLAIM ALL WARRANTIES AND CONDITIONS WITH REGARD TO THIS INFORMATION, SOFTWARE, PRODUCTS, SERVICES AND RELATED GRAPHICS, INCLUDING ALL IMPLIED WARRANTIES AND CONDITIONS OF MERCHANTABILITY, FITNESS FOR A PARTICULAR PURPOSE, WORKMANLIKE EFFORT, TITLE AND NON-INFRINGEMENT. YOU SPECIFICALLY AGREE THAT COLUMBIA UNIVERSITY AND COLUMBIA COLLEGE SHALL NOT BE RESPONSIBLE FOR UNAUTHORIZED ACCESS TO OR ALTERATION OF YOUR TRANSMISSIONS OR DATA, ANY MATERIAL OR DATA SENT OR RECEIVED OR NOT SENT OR RECEIVED, OR ANY TRANSACTIONS ENTERED INTO THROUGH A COLUMBIA COLLEGE WEB SITE(S)/SERVICE(S). YOU SPECIFICALLY AGREE THAT COLUMBIA COLLEGE IS NOT RESPONSIBLE OR LIABLE FOR ANY THREATENING, DEFAMATORY, OBSCENE, OFFENSIVE OR ILLEGAL CONTENT OR CONDUCT OF ANY OTHER PARTY OR ANY INFRINGEMENT OF ANOTHER’S RIGHTS, INCLUDING INTELLECTUAL PROPERTY RIGHTS. YOU SPECIFICALLY AGREE THAT COLUMBIA UNIVERSITY AND COLUMBIA COLLEGE ARE NOT RESPONSIBLE FOR ANY CONTENT SENT USING AND/OR INCLUDED IN AN COLUMBIA COLLEGE WEB SITE(S)/SERVICE(S) BY ANY THIRD PARTY. You agree to indemnify and hold Columbia College, Columbia University, subsidiaries and their trustees, officers, employees, and agents harmless from any claim, demand, or damage, including reasonable attorneys’ fees, asserted by any third party due to or arising out of your use of or conduct on the Columbia College Web Site(s)/Service(s). Columbia College reserves the right to disclose any personal information about you or your use of the Columbia College Web Site(s)/Service(s), including its contents, without your prior permission if Columbia College has a good faith belief that such action is necessary to: (1) conform to legal requirements or comply with legal process; (2) protect and defend the rights or property of Columbia University or Columbia College; (3) enforce the terms or use; or (4) act to protect the interests of its members or others. Columbia College’s performance of this agreement is subject to existing laws and legal process, and nothing contained in this agreement is in derogation of Columbia College’s right to comply with governmental, court and law enforcement requests or requirements relating to your use of the Columbia College Web Site(s)/Service(s) or information provided to or gathered by Columbia College with respect to such use.